Business had me spending Memorial Day in Las Vegas. The spectacular dancing waters show in front of the Bellagio Hotel was mesmerizing. Imagine a fountain the size of a football field shooting multiple streams of water a hundred feet into the air including a light show set to Whitney Houston's goosebumps producing rendition of the Star Spangled Banner. And yet, at the end of the song, the crowd of a thousand or more appeared unmoved; shockingly silent. I wholeheartedly expected the crowd to spontaneously begin passionately yelling, "USA! USA!" Has the Left successfully muted patriotism in many of our younger Americans? I can only conclude that a miracle prevented me from going to Vietnam. It was 1969 and I was in the U.S. Army stationed at Ft. Bragg, NC. Upon returning from my home in Maryland after a two week leave, I learned that my entire battalion had orders for Nam. There were two exceptions, myself and another soldier. God had a different plan for me. A few years ago, I wanted to record a musical tribute honoring Vietnam vets. I asked Navy Vietnam vet Gerry Millholen to participate. In the recording studio, Gerry began sharing the pain and suffering he and his fellow vets (brothers) endured upon returning home after serving in Vietnam. False allegations against our troopers touted by John Kerry were particularly painful. She Vowed to Bless Our Troops and Their Families. Debbie Lee knew the black car in front of her home was not a good thing. Her worst fears were realized. Her heroic decorated son Marc Alan Lee was the first U.S. Navy SEAL killed in Iraq. Experiencing first hand the extreme price our troops and their families pay preserving our freedom, this Gold Star Mom birthed, Americas Mighty Warriors. Debbie thanks our troops in numerous ways and provides aid and comfort to military families. Here is an update I received from Debbie. "God is doing amazing things with AMW. We have tripled those that we have helped this past year and are now paying for HBOT (Hyperbaric Oxygen Therapy) for our troops with TBI (Traumatic Brain Injury) and seeing amazing healing. I'm sure we could triple again next year as there is so much need. I'm excited to see what God will continue to do." I first met Debbie Lee years ago when we were both touring on Tea Party Express. I was so impressed by Debbie and her mission that I organized conservative musicians to come together to do a fundraiser for her non-profit, Americas Mighty Warriors. Each artist came to Florida on their own dime and 100% of the proceeds from the sale of the CD and video package goes to Debbie Lee. 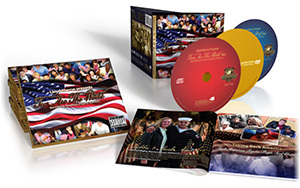 The package includes 44 songs of varying genres donated by the participating recording artists. Please Do Not Allow Our Vet Imprisoned in Mexico to Fall Off America's Radar. 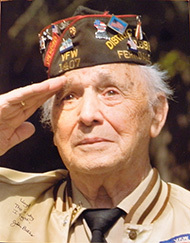 U.S. Marine combat vet Sgt. Andrew Tahmooressi made a wrong turn into Mexico with legal weapons in his trunk. Tahmooressi has been living the nightmare of trying to stay alive in a brutal Mexican prison since March 31. God bless Duncan Hunter, R-Calif, for trying to bring national attention to the case. Hunter wrote a letter to Secretary of State John Kerry on Tahmooressi's behalf. Kerry is as ineffective as Michelle Obama's "# Bring Back Our Girls." Two hundred and fifty of the Nigerian schoolgirls remain held hostage by their Muslim kidnappers and Tahmooressi continues to fight to survive in a Mexican hell hole.